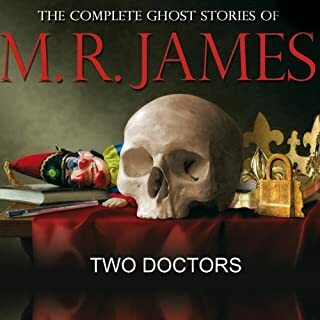 This an the unabridged audio recording of M R James' excellent ghost story "Two Doctors". Read by David Collings, this is sure to scare and delight in equal measure. This is the unabridged audio recording of M R James' excellent ghost story "The Fenstanton Witch". Read by David Collings, this is sure to scare and delight in equal measure. 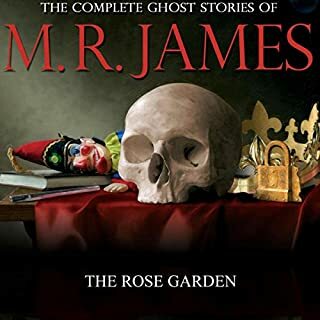 This is the unabridged audio recording of M R James' excellent ghost story The Rose Garden. Read by David Collings, this is sure to scare and delight in equal measure. This is the unabridged audio recording of M R James' excellent ghost story "A Neighbour's Landmark". Read by David Collings, this is sure to scare and delight in equal measure. This is the unabridged audio recording of M R James' excellent ghost story "The Malice of Inanimate Objects". Read by David Collings, this is sure to scare and delight in equal measure. This is the unabridged audio recording of M R James' excellent ghost story "A Vignette". Read by David Collings, this is sure to scare and delight in equal measure. 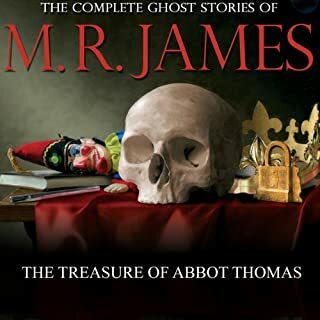 This is the unabridged audio recording of M R James' excellent ghost story "The Treasure of Abbot Thomas". Read by David Collings, this is sure to scare and delight in equal measure. Really not for those of a nervous disposition! This is the unabridged audio recording of M R James' excellent ghost story "An Episode of Cathedral History". Read by David Collings, this is sure to scare and delight in equal measure. This is the unabridged audio recording of M R James' excellent ghost story "A View from a Hill". Read by David Collings, this is sure to scare and delight in equal measure. This is the unabridged audio recording of M R James' excellent ghost story "The Residence at Whitminster". Read by David Collings, this is sure to scare and delight in equal measure. This is an unabridged audio recording of M R James' excellent ghost story "There Was a Man Dwelt by a Churchyard". Read by David Collings, this is sure to scare and delight in equal measure. This is an unabridged audio recording of M R James' excellent ghost story "The Haunted Dolls House". Read by David Collings, this is sure to scare and delight in equal measure. Superb! Suspense, setting then scene then horror! This is the unabridged audio recording of M R James' excellent ghost story "Martin's Close". Read by David Collings, this is sure to scare and delight in equal measure. This is the unabridged audio recording of M R James' excellent ghost story "The Diary of Mr Poynter". Read by David Collings, this is sure to scare and delight in equal measure. This is an unabridged audio recording of M R James' excellent ghost story "The Uncommon Prayer Book". Read by David Collings, this is sure to scare and delight in equal measure. This is an unabridged audio recording of M R James' excellent ghost story "After Dark in the Playing Fields". Read by David Collings, this is sure to scare and delight in equal measure. This is the unabridged audio recording of M R James' excellent ghost story "The Experiment". Read by David Collings, this is sure to scare and delight in equal measure. Where does The Experiment rank among all the audiobooks you’ve listened to so far? What was one of the most memorable moments of The Experiment? Have you listened to any of David Collings’s other performances? How does this one compare? An excellent combination of superstition and horror. Yes - it's only 15 minutes long! Would you be willing to try another book from Montague Rhodes James? Why or why not? Absolutely - I've read pretty much all of his work, but this isn't one of his better ones. What about David Collings’s performance did you like? Collings has almost the perfect voice for James: well modulated, educated, easy on the ear. 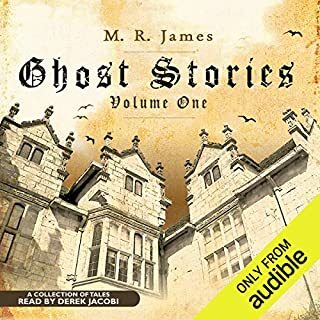 The only better narrator I've come across for James was Christoper Lee in the BBC Christmas Ghost Story series (although David Suchet is very good in the Audible recordings), but that's setting a very high benchmark! Do you think The Experiment needs a follow-up book? Why or why not? Odd question - James wrote short stories which were meant to stand alone. You could take this concept and turn it into a much longer novel or a series of stories using the same central idea but that wasn't James' intent. If you're new to M.R. James, start with 'O Whistle and I'll Come To You' or 'A Warning to the Curious' or 'The Mezzotint'. 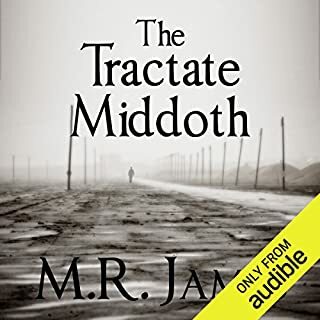 Another spooky from Mr M.R.James. Has written so many, the man was a genius. Nice to see the full collection on Audible books. 30 at least.